As the temperature is finally rising, we’d like to remind our dear residents how important it is to stay hydrated. Without sugar, chemicals or caffeine – pure water is simply the best drink. Here are 10 amazing benefits of proper hydration. Drink up! Energy – water is one of the most significant sources of energy. Water restores cells, which helps your body function properly and contributes to good sleep. Blood Pressure – When a body is properly hydrated, blood is approximately 92% water! Having enough fluid in the body helps the blood flow properly through veins and arteries and can help reduce high blood pressure. Allergy Relief – Coming in contact with pollen or other allergens cause our bodies to produce histamines. Histamines cause congestion and other allergic reactions. When we are dehydrated our bodies produce more histamines. Drinking enough water can help alleviate allergic reactions. Beautiful Skin – When you drink enough water, your skin practically glows, it rids itself of toxins and reduces the chance of redness, itching and general blotchiness. Healthy Cholesterol – When the body hasn’t had enough water, it will start to produce more cholesterol so that cells can still function properly. 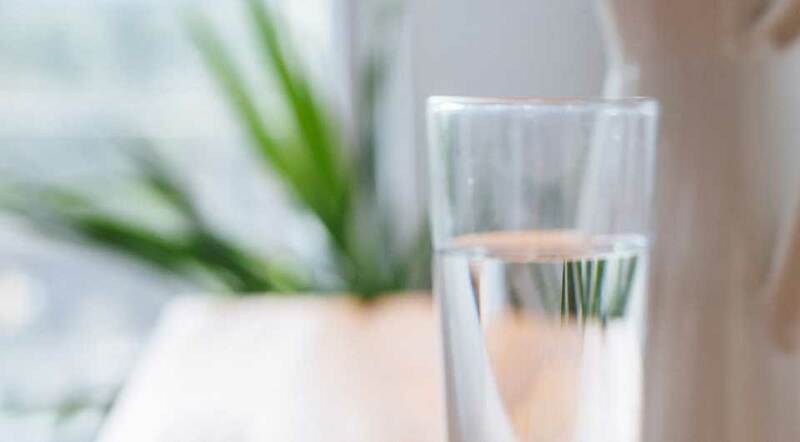 Smooth Digestion – Water can help eliminate and reduce the incidence of ulcers, bloating, gas, gastritis, acid reflux, and IBS. You also will experience less frequent constipation since water helps matter move more quickly through the intestinal tract. A well-hydrated body simply purges toxins and metabolic wastes better. Healthy Bladder & Kidneys – Good hydration helps flush out any unwanted microbes which can result in less frequent bladder or kidney infections. Since these organs are the ones responsible for getting rid of impurities in our bodies they can also be more sensitive to disease. Joint and Cartilage Repair – Most of the padding in our cartilage is made up of water. Drinking enough keeps bones and joints from becoming too stiff. Joint repair after workouts or injuries is also expedited by proper hydration. Maintaining a Healthy Weight – We need water for energy, otherwise or cell send a signal to the brain to ‘get more goods.’ This means you will eat more, and likely carry some extra unwanted pounds. Stay hydrated and maintain a healthy weight. The Fountain of Youth – Finally, all of our organs need a lot of water to function properly. If we stay dehydrated for long stretches, every cell, organ, and system in the body has to work harder, which means we will age faster. Drinking enough water literally keeps you young feeling, looking, and acting – for longer.